Spring is here, and I’m finally in freshen-everything-up mode. Time to breathe life into my complexion, finally add that dimension to my hair, and—probably the most difficult of all—figure out a way to comfortably bare my truly paler-than-pale legs in public. On the upside, each of these little improvements, I’m noticing, also somehow manages to make me look younger, healthier, and all around more radiant (yes, please!). You can wash your face religiously (as I hope you do! ), but to get that really gorgeous, glowy skin, exfoliation is a must, says…basically every dermatologist. My way: GlamGlow ($69), an anti-aging face mask that does it all (smoothes, brightens, tightens, shrinks pores, and more). Wash your face as usual, then slather it on. It tingles at first (it’s the blend of volcanic minerals working to draw out impurities), then hardens into a green cast-like film. Ten minutes later, wash it off with warm water (I like to work it into skin to further exfoliate as I do), then admire your completely soft, smooth, pore-less skin. Really—skip the facial and just try this! Oil on your face? Yes! 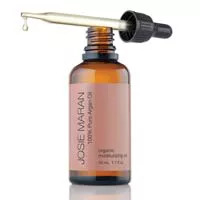 I was hesitant, but I’ve made one of the new lightweight oils the last thing I apply before going to bed and I swear, it’s as hydrating as a night cream—and I wake up totally fresh-faced. No breakouts! Apply it while your face is still a bit damp from cleansing for max absorption. I can’t remember the last time I wore real foundation. Why? Because BB creams do everything foundation does and more (think: primer, tinted moisturizer, concealer, and SPF in one). Not only do they offer enough coverage, but they add a radiance to skin and never feel heavy. 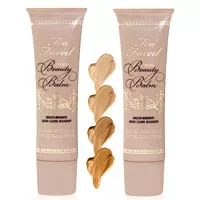 I swear by Too Faced Tinted Beauty Balm ($34). Tired? Got allergies? 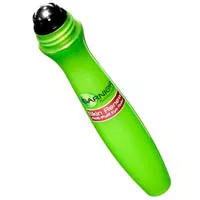 Deflate undereyes with the handiest little skincare tool: the Garnier Skin Renew Anti-Puff Eye Roller ($13). It has caffeine (a proven de-puffer), but it’s that cooling metal rollerball applicator that completely refreshes me, and makes me feel all tightened-up (like Spanx for undereyes!). For months, I’ve gotten away just paying a little attention to only what was showing: my face. The poor rest of my body! I haven’t yet gone bare-legged this season, but here’s my fail-safe plan for when I do: Start with a good oil-free exfoliator (my fave: Nivea Touch of Renewal Lathering Body Lotion, $5) allover, then slather on a gradual self-tanner. Blend, blend, blend. Jergens Natural Glow Moisturizer ($9) is my go-to. People always complain about that unmistakable self-tanner smell, but this one’s been reformulated without the odor. I love that it covers up minor leg imperfections, too (we’ve all got ‘em). It’s the hottest color of the season, and I promise--it flatters your skin tone. Celeb manicurists give this guideline: If you’re fair, stick with a pinky coral; if you’re medium, you can go a bit more orange; and if you’re dark, you can pull off pastels or super-brights (almost neons). But honestly, the color is pretty fool-proof. Right now I’m wearing Essie Coral Reef ($8)—a bit orange-y for my pale skin, and it still looks great. Added bonus? The color instantly brightens up your hands (and feet! ), and just makes you feel glow-ier allover.